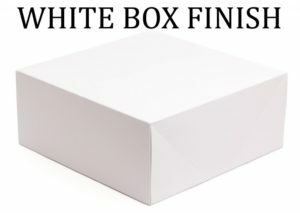 ‘White Box’ is a term used for a type of finish in commercial real estate with an unfinished interior and does not include: interior walls (other than code required restrooms), wall coverings, paint, flooring, plumbing fixtures (other than code required restrooms and drinking fountains), upgraded electrical fixtures, and upgraded code required restroom fixtures. A white box is ready for tenant improvements (TI’s), which are to be completed once the lease agreement has been negotiated and executed. It includes a space that is protected from the outside elements which typically includes a roof, exterior windows and doors. Also included is a basic finished ceiling, floor sufficient for most flooring, basic heating, ventilation and air conditioning (HVAC), basic lighting, fire protection (if necessary per code), restrooms(s) (if required by code), hot water, drinking fountain (if required by code), , adequate access by way of an elevator or stairs. This particular form of construction is for commercial owners who need to quickly incorporate a new tenant to their property. It is typically an interior space that is minimally finished. The idea being that the next tenant will be presented with a shell space that they can quickly convert into virtually anything. In many cases, the landlord will offer financial incentives in the form of a tenant improvement allowance (TIA), which pays for or at least partially defrays the cost of any improvements necessary for the tenant to occupy the building itself. Tenant improvement allowances do not usually include furniture, fixtures, and equipment (FFE) or trade fixtures necessary for the tenant to conduct business. 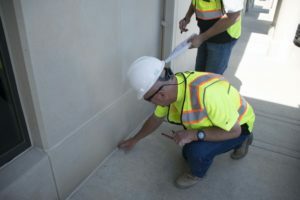 Usually white box finishes, or those improvements necessary to upgrade the building from a cold shell, are not completed until the lease agreement between the tenant and landlord has been negotiated and executed. This ensures that the landlord does not pay for improvements that are unnecessary or that the tenant does not want.